Our school is not only a place of learning, but also a place for living, where your child should feel comfortable - therefore we attach great importance to a wide-ranging afternoon offer and positive social interaction. 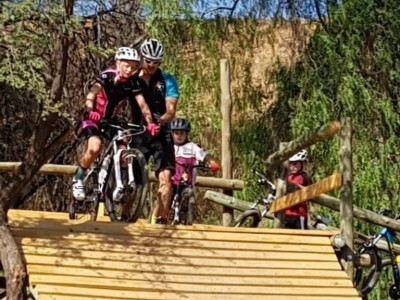 Our teachers and parents dedicate themselves beyond regular school lessons to enable an interesting, varied program at the DHPS. 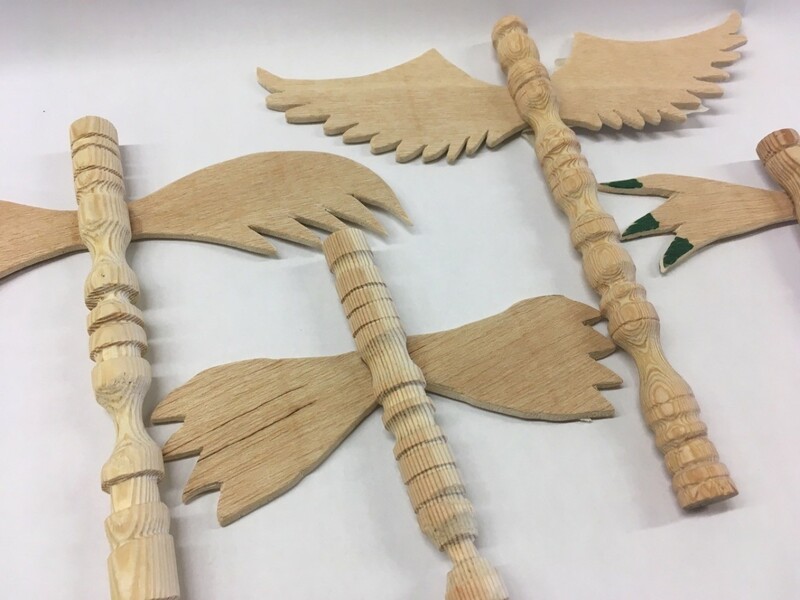 From exiting extra-mural activities, to social commitment and career guidance - Explore the active DHPS school life: Our school is a place of encounter, where learning and living takes place on many different levels! Learning by Doing - Hello Adventure! 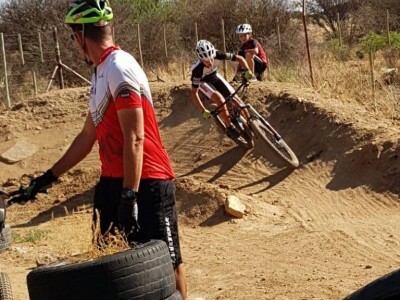 Namibia is widely known for its vastness and contrasts: During exciting and informative DHPS outings our learners regularly experience the diversity of our nature and the extensive possibilities for exploration and learning in the Namibian wilderness. 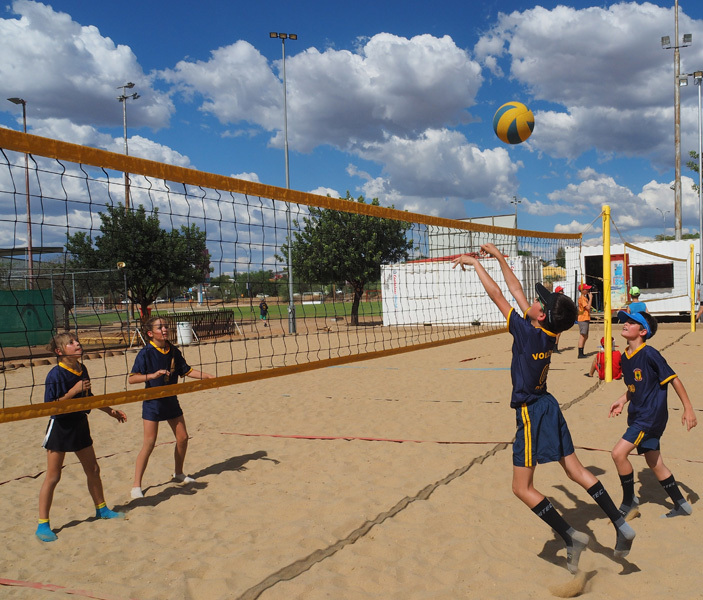 Our Grade 6 learners have the chance to experience the Namibian desert up close. 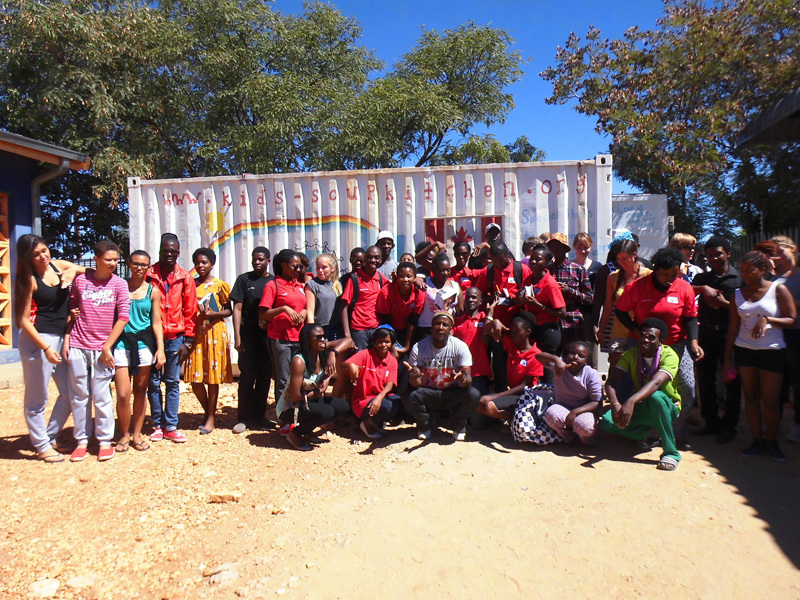 Solar cookers, Water rations, "toktokkies", sleeping under the Namibian starry sky and looking for scorpions - these are the highlights of the Grade 6´s excursion to NaDEET, the Namibian Environmental Education Trust. 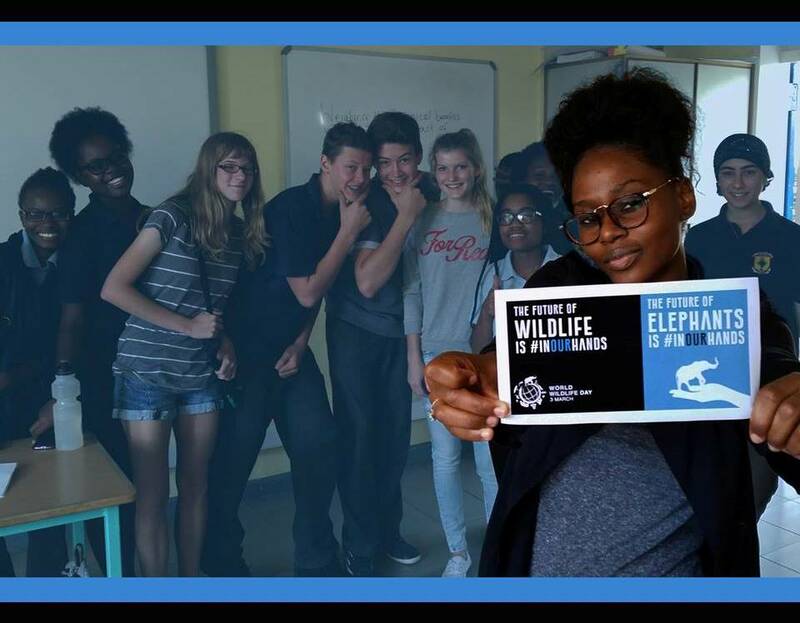 In addition to the biology curriculum and accompanied by their biology teachers, the kids learn about the surprises the Namib desert has to offer and how remarkably flora and fauna have adapted to these arid conditions. 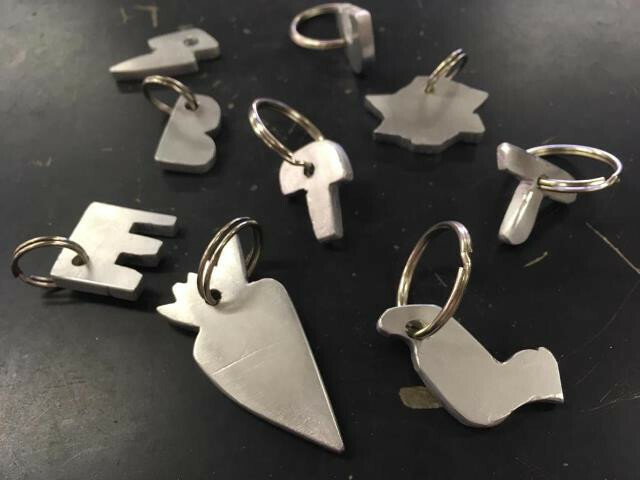 Recycle, Reduce, Reuse – that´s the excursion´s main theme where it is all about producing fuel briquettes from old newspapers, preparing meals on solar cookers and why it is important to ration water. Of course learning should also be fun: Although the Grades 6 enjoy the educating projects with the NaDEET-nature conservationists to the fullest, they are absolutely thrilled with sandboarding and playing together. Obstacle and adventure courses, teamwork and survival training: For four days our Grade 8s get the chance to experience what team spirit really is about. The learners are grouped and equipped with maps, compass, sleeping bags and supplies and have to find the rest of the way to farm "Blumfelde" on their own. 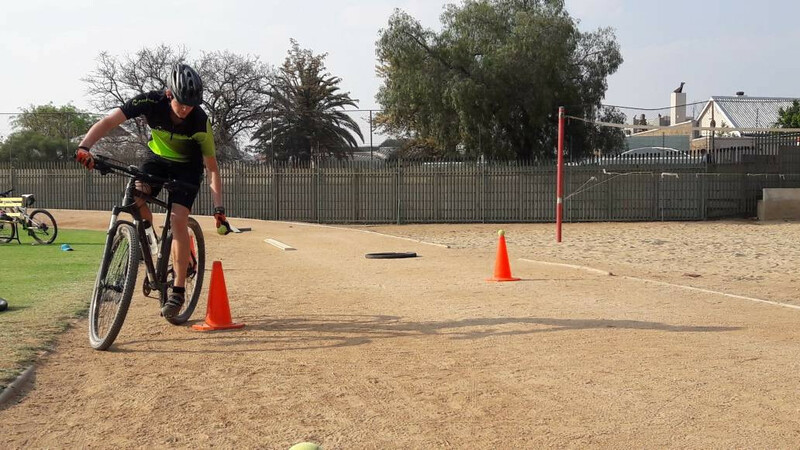 Once there, again priority is given to TEAMWORK: During Mini Olympics, adventure and obstacle courses it is all about going beyond personal borders but also helping, supporting and encouraging others. Canoeing on the great Orange River in Southern Namibia is more than just a river trip! 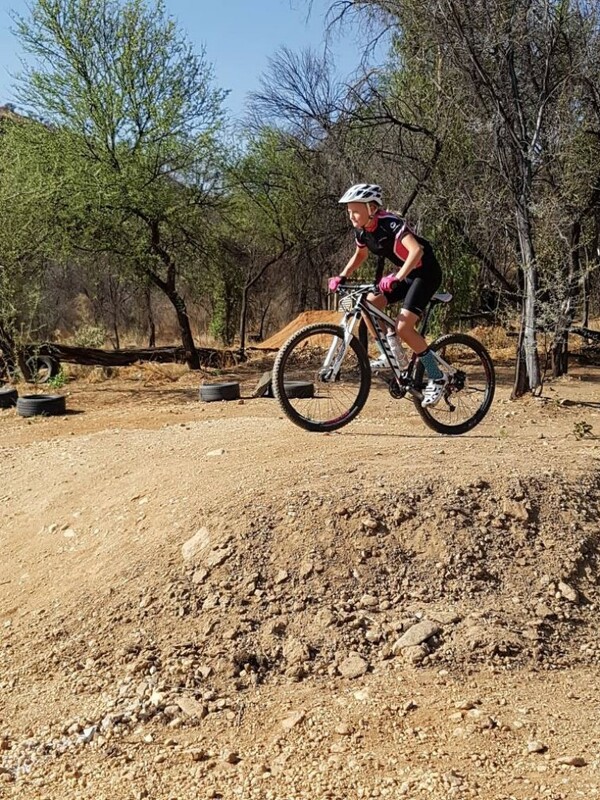 Our Grade 10 learners get to experience great exercise on the waters, the starlit African sky and the breath-taking Richtersveld National Park on the boarder to South Africa. 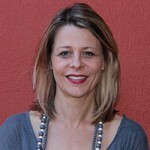 Under the guidance of experienced and qualified staff they enjoy an adventure not easily matched. In addition to campfires and great company it is once again all about team work, spirit and a great sense of community. Within the exam preparations of the DIAP Biology course in Grade 11 our "almost graduates" visit the desert research foundation in Gobabeb. Biology up close: The students learn and elaborate in groups and with the help of nature conservationists and biology teachers about the eco systems in the Namibian desert. When taking a closer look at Namibia’s educational environment it becomes evident: This is no mainstream subject. At the DHPS, besides academic education, emphasis is put on developing craft-skills and -abilities. 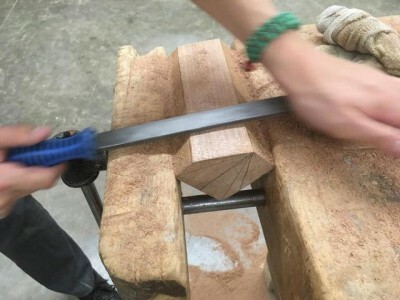 Technical Skills is offered as a subject, comprising metal-, wood-, textile work as well as pottery. Textile lessons strengthen our learners´ technical expertise, design skills and to work independently. Thanks to the Alumni Association´s donation of the sewing machines in 2015, our learners from Grade 5 can create great textile artwork. 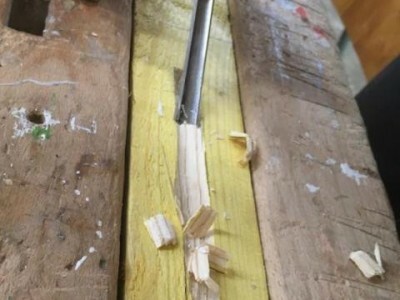 Handicraft skills and basic concepts of materials and tools are taught in wood and metal works. 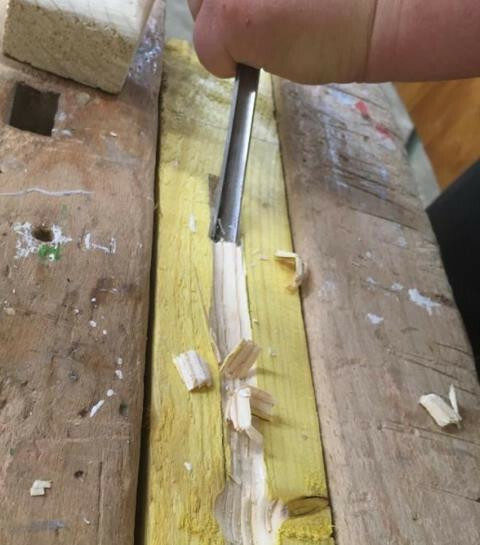 The pupils learn to work independently, to develop innovative solutions and to work precisely and be creative at the same time. 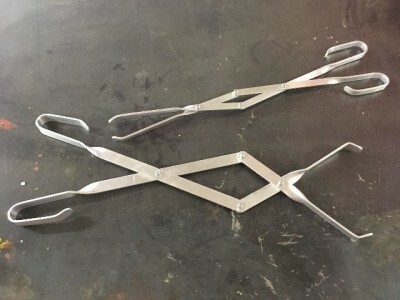 Im Keramikunterricht erlernen die SchülerInnen den Umgang mit Ton, die grundlegenden Handtechniken des Töpferns und das Glasieren der selbst hergestellten Werkstücke. Gefördert werden dabei insbesondere die feinmotorischen, praktischen, gestalterischen und ästhetischen Fertigkeiten unserer SchülerInnen. For all children who cannot be picked up directly after school, a so-called waiting class is available, which is part of our supervision offer. Obligatory waiting class supervision is offered to Grade 1-6 children after their lessons and is open from 11:35 until 13h10. They can conveniently stay at the facilities of the DHPS campus together with other children, where they have the opportunity to do their homework, learn and spend quality time. This is also a chance to meet children from other classes and to enjoy a pleasant time together. Here children can optimally use the remaining time after a busy morning until they are picked up and establish bonds with each other. Please find here the rules of the DHPS-Waiting class and everything you need to know about us. Besides successful learning, achievements in sports, music, arts and the social field are particularly important to us. "They are beautiful, aren’t they? The stars; we never just look anymore..."
Since beginning of time, humanity is inspired by the stars. Mythological figures, animals and objects are represented in constellations since the Neolithic period, especially in the ancient world. Many cultures also use constellations for maritime navigation. In our southern hemisphere the Southern Cross points to the south, while in the northern hemisphere the North Star always indicates the exact north. There are however also planets that wander between the fixed stars. They circle around the Earth, like the sun and are particularly nice to look at through the telescope. Our school’s own telescope is located on the Cuno Hoffmeister Memorial Observatory about 23km outside Windhoek. Here we, the astronomy group, watch stars, planets and galaxies. But astronomy is also the quest for the origin of the universe. Scientists explore the universe - and thereby the past - with large telescopes. Starlight, that we see today, might have been emitted a million years ago already. In this way scientists seek to understand the origin of our sun and Earth, our cosmic home -the Milky Way- and even the entire universe. We want to take the opportunity to peer over the astronomers’ shoulders at the HESS telescope. During an Internet conference with the German Centre for Aerospace, we have learned from the crew of the Rosetta Mission how they have steered a satellite towards a comet for landing. We have a wide range of extra mural activates taking part in the afternoons at the DHPS, one of which is the famous Basketball. 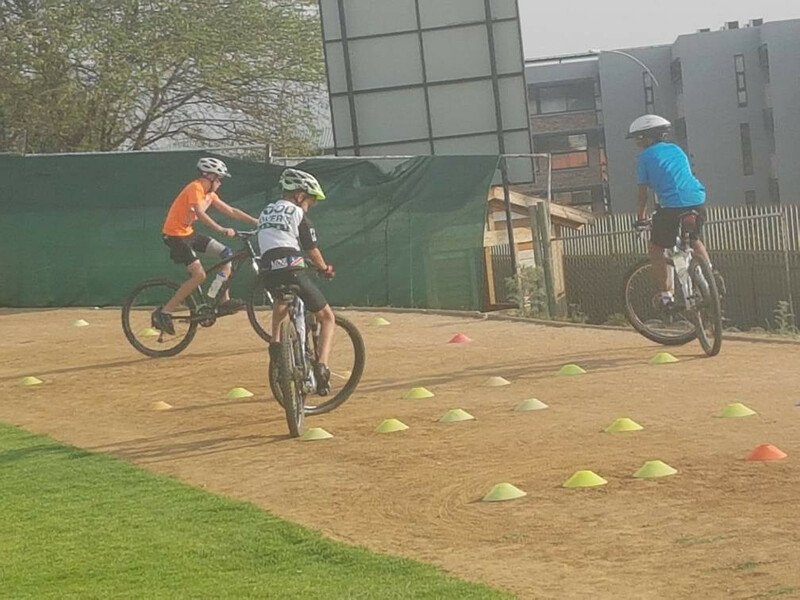 This is the fastest growing sport in the school as it not only teaches us about good team work but also demonstrates inclusive education as well as a broader social understanding of each other and our cultures. Basketball helps our learners stay fit, make new friends while building up endurance, improving ones balance, coordination, developing concentration and self-discipline, which all leads to the schools goals of a holistic educational foundation. Besides being a fun and competitive sport it is one of the few sports that can be ideal for any age group or gender, from junior teams of 10-11 years up to our seniors consisting of 15-19 year olds. Basketball is hence a great way of keeping our learners active in a competitive fun environment! This year, the choir (Grades 3-6) will perform a musical together with the theater group - “The Secret Life of Pirates”. The learners practice the songs during music lessons in the morning. Only learners, who want to participate in the musical, have special afternoon rehearsal sessions. The Debating Club is an extramural activity for learners from Grade 9-12 who meet once a week. The activity provides an excellent opportunity for learners ot increase their general knowledge about everyday issues and current events, acquire persuasion skills and strengthen their assertiveness and self-confidence. 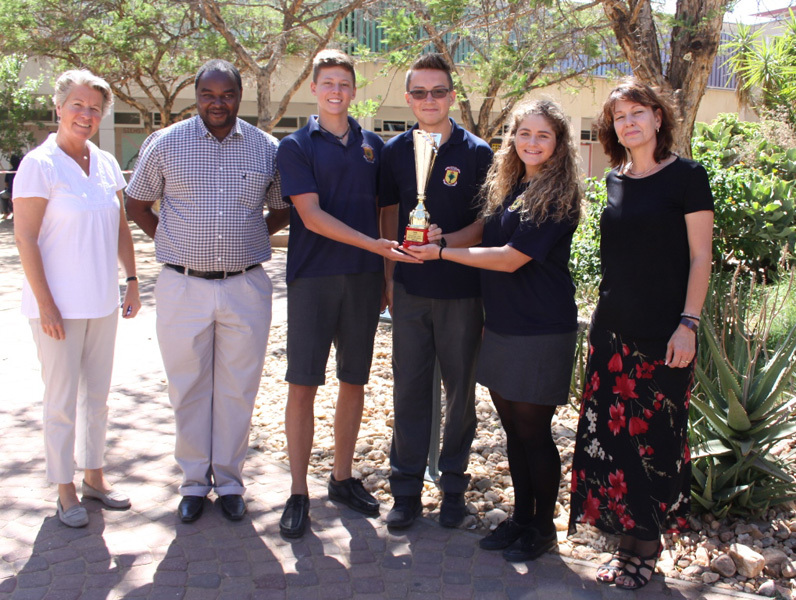 While debating takes place among DHPS learners during the weekly meeting on Mondays, certain members also participate in national events and inter-school encounters, such as the annual “Zula Radio Energy High School” debate competition. Skills acquired during these weekly sessions assist learners to become more persuasive and convincing, to lose their fear of public speaking and to become increasingly interested and knowledgeable with regard to general issues, With the aim of providing a voice to the youth - an important part of society that can, will and must make a difference. Wednesday afternoon. The next deadline draws to a close and the only noise coming from the media room is busy clicking of computer keyboards. “Elizabeth, how far is the article about the SRC?”, “Joshua, is the report on the student exchange ready? ", “Dante, when can we upload your video on the Special Olympics?”, “Did we already receive Christian's photos of the grade 12s graduation ball?” With the deadline moving closer, things are hotting up. “We still need articles for the sports section! Any ideas?” - “Mountain bike extra-mural! 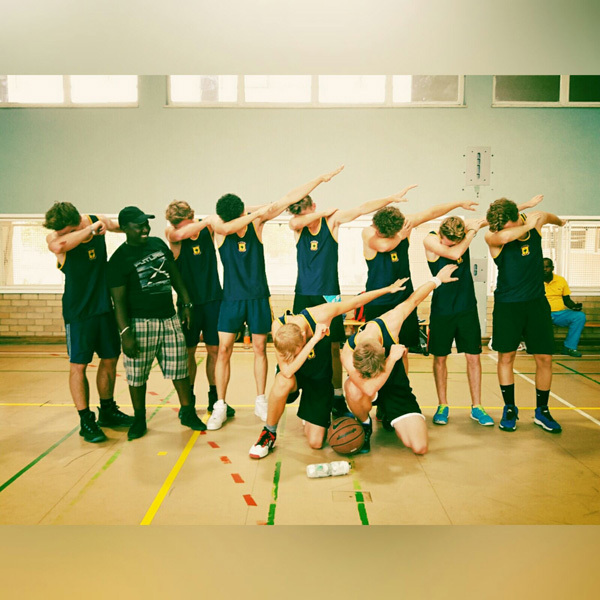 The basketball tournament in South Africa! What about judo?” There is an infinite number of ideas on happenings to report about. Finding topics, doing research, taking photos, conducting interviews, summarizing and compiling objective reports. These are the tasks of a professional journalist - and also of our DHPress-editors. 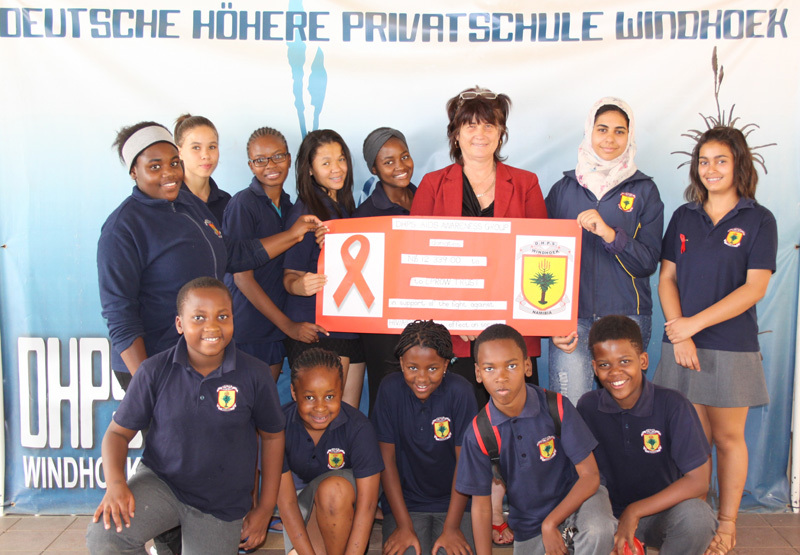 The small group of dedicated grade 6-12 learners is always on-site when there is news to report on: From events and excursions, to extra-murals and social projects, to sports and current events; nothing goes unnoticed by the vigilant eyes of the DHPresS-reporters. And it’s worth the effort! In addition to regular online articles and video clips on the DHPresS-My Zone platform (see https://zone.my.na/school/dhps/), the ultimate hot-of-the-press-outcome, the "DHPresS”, is published as a supplement of the Windhoek Express and thus of all Namibia Media Holdings newspapers. This exciting moment always is an inspiration for the entire editorial team. "Being able to inform my fellow school mates and the public about what is happening at the school, motivates me. At DHPresS, we learn something new every session, making it a great platform to get the idea of what being a journalist is like", says Dante Ilovu, DHPresS journalist and videographer. A circulation of 20,000 newspapers of course provides the great opportunity not only to feel as a journalist, but to actually be one. 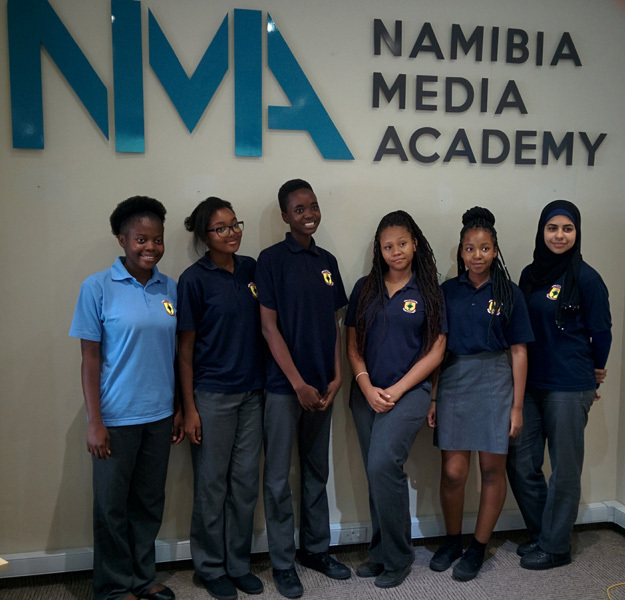 The project is a partnership with the Namibian publishing company "Namibia Media Holdings” (NMH), who support the process via a supervising editor. 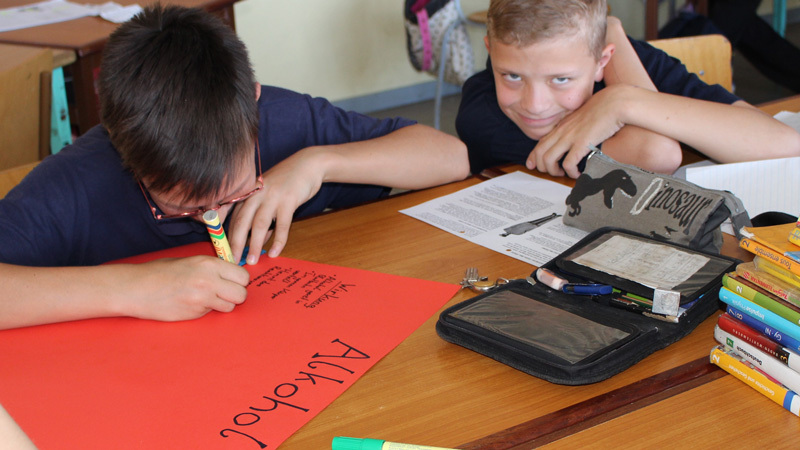 During a media camp held for several days each year, the young journalists are trained professionally and have a lot of fun with their colleagues from other schools. Please see all stories, articles and newspapers on our DHPS - MyZone page. 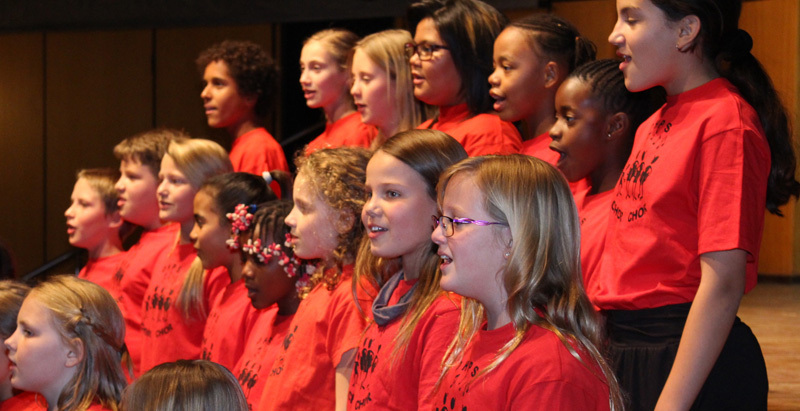 Grade 6-12 learners who wish to continue to sing and make music, have special voice training and introductions to ensemble playing. Besides classical music, the repertoire increasingly includes light music. Many amateur photographers simply press the release button of their camera and are satisfied with what they see on their display. At the photo-extra-mural activity interested learners can acquire basics skills of active digital photography. It’s not just about “snapping”, but an active awareness of creativity and technical know-how. Participants acquainted with their camera, learn to set scenes effectively, consider light incidence and how to use the camera settings for the ultimate picture. The photo group mainly focuses on portrait photography, macro-photography and digital image processing. Projects offer participants the opportunity to get familiarized with the camera and explore their photographic creativity. Judo is a very orderly and disciplined sport, where in addition to strength, fitness and coordination, also concentration and self-confidence are trained. Discipline, self-control, friendship and respect are in the foreground here. The success speaks for itself! DHPS judoka annually participate in the South African Judo Open Championships as well as in a great number of national competitions and they benefit from the professional training at the DHPS. Perceiving the environment with wakeful eyes, monitoring closely, registering abnormalities, being curious - these are the basics for “Youth in Science”. If you ask yourself questions and try to answer them by means of small experiments and enjoy natural sciences, this is your place to be. The aim is to reach interesting conclusions by means of your own research and written records, thereby qualifying for participation in the German “Youth in Science” competition, to face the critical jury and perhaps even win a prize. LEGO Robotics combines engineering- and computer-sciences in a playful way. With kits of the latest LEGO Mindstorm Technology we build our own robot, program it on the PC or smart phone and have tons of fun. We remote-control the robots, sent them into mazes, have races etc. Or how about a bulldozer-robot that cleans up for you? 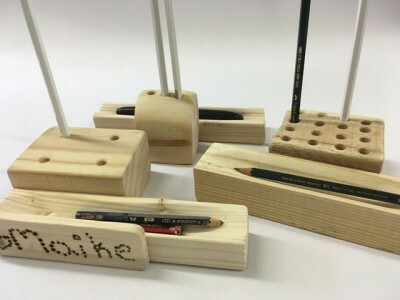 Join us and build one! It is easier than you can imagine. 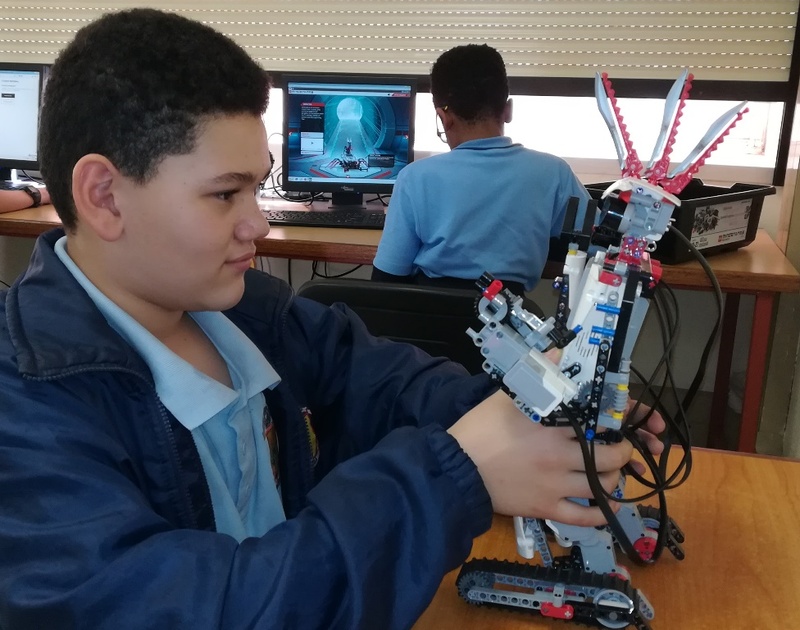 Our goal is to become the first team in Namibia to participate in the First Lego League. Here 300 000 participants of 30 000 teams worldwide compete against each other - this is why we need you and your ideas! And by the way: LEGO Robotics is not just for boys! Orchestra members are Grade 7-12 music-enthusiasts, who have previously received instrumental lessons for one of the orchestral instruments and former brass-class participants. The program includes classical-, jazz-, and pop-music. 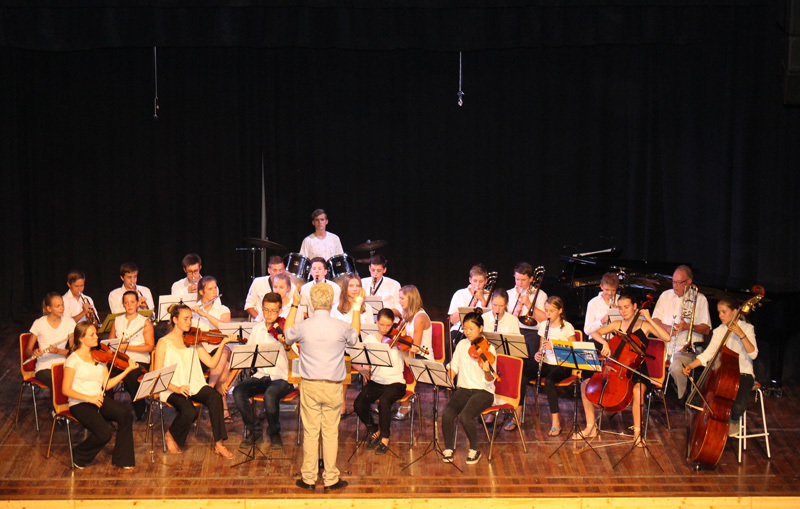 Highlights, in addition to the DHPS school concert, are regular school-internal and -external performances, concerts and musical productions, where learners can prove their musical skills, such as the Orchestra week of German schools in Southern Africa. DHPS had the honour to host this event in March 2019. The DHPS Interact Club has set itself the task of helping people who live on the margins of our society. True to the motto “Service before Self”, donations are collected and social projects are supported. One of these projects is the “Kids Soup Kitchen”, a soup kitchen in the former Windhoek township Katutura. Once a month, members of the DHPS Interact Club drives to Katutura and take along food to prepare a meal together with the Kids Soup Kitchen for about 260 needy children and teenagers. A “Soup Kitchen” provides the opportunity to cooperate with other voluntary helpers and the learners realize the importance of their commitment, time and dedication for other people. Finding pleasure in doing good - this is what characterized the DHPS Interact Club. The Peer Mediators are a group of people that make it their “soul” purpose to help others. We feel that a problem is best solved together. So everyone is more than welcome to seek help from us, as our room is situated near the Kiosk under the gym. And for your effort, you will have a sweet surprise. So come, don't be shy. We, the Peer Mediators are here to help you. 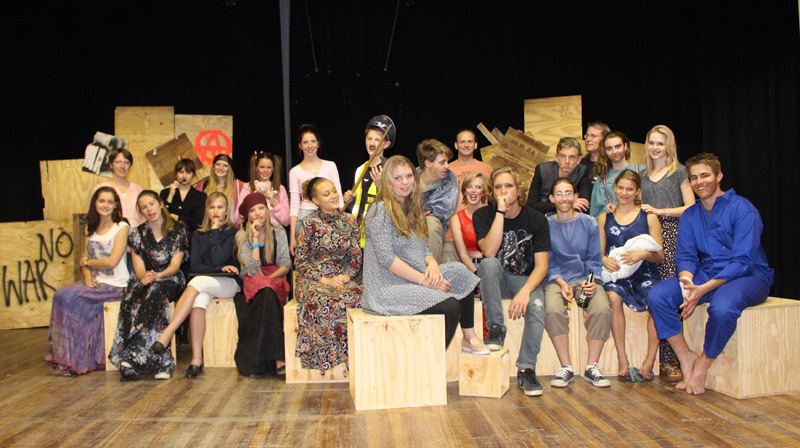 True to this motto, the DHPS theatre group devotes itself to a large productions each year: From classics like Berthold Brecht’s “The Good Person of Szechwan” to musicals like “Dance of the Vampires”or “The Secret Life of Pirates”. Theater builds self-confidence, character and - above all - is great fun. 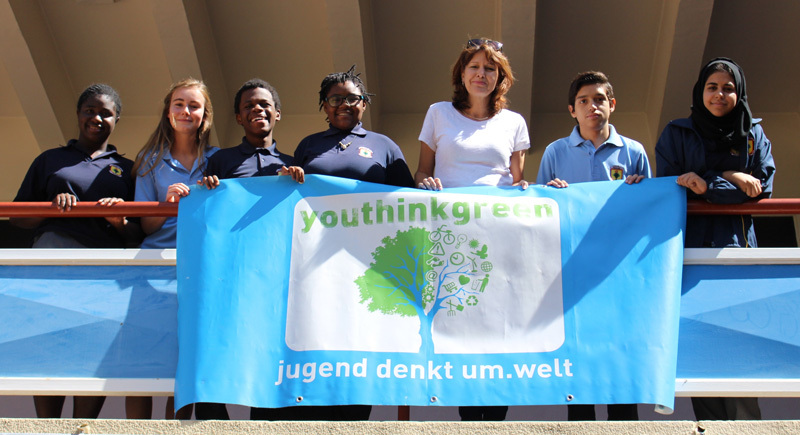 YouThinkGreen Namibia is an educational youth initiative at the DHPS. The aim of the project is to train school-age participants to become critically-minded climate ambassadors who create awareness in and outside the school for sustainable consumption, transport and energy. Our latest projects include: Save Water initiative, Schools´recycling competition, Liquifruit Can building competition, cacti clean-up and many more. In this extra-mural activity for Grade 1 and 2 learners not only the sense for music, singing and dancing is developed, but learners are also introduced to simple rhythmic and harmonic accompaniment. 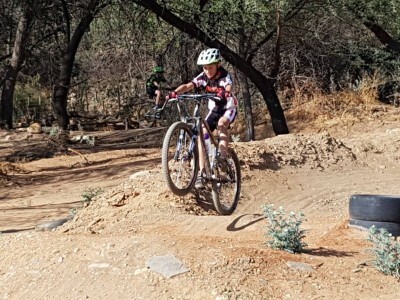 Mountain biking rocks. It is just fun and exercising outdoors is healthy. 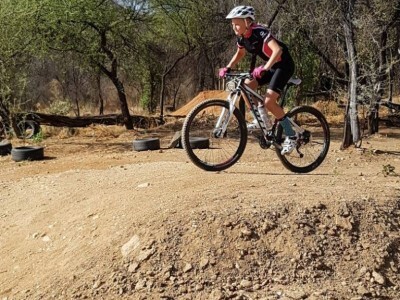 These are just a few of the many reasons why one should grab a mountain bike and start to explore the outdoors. Since cycling becomes increasingly popular in Namibia, our school also wants to give its learners the opportunity to improve their skills, dexterity and endurance on the bicycle. 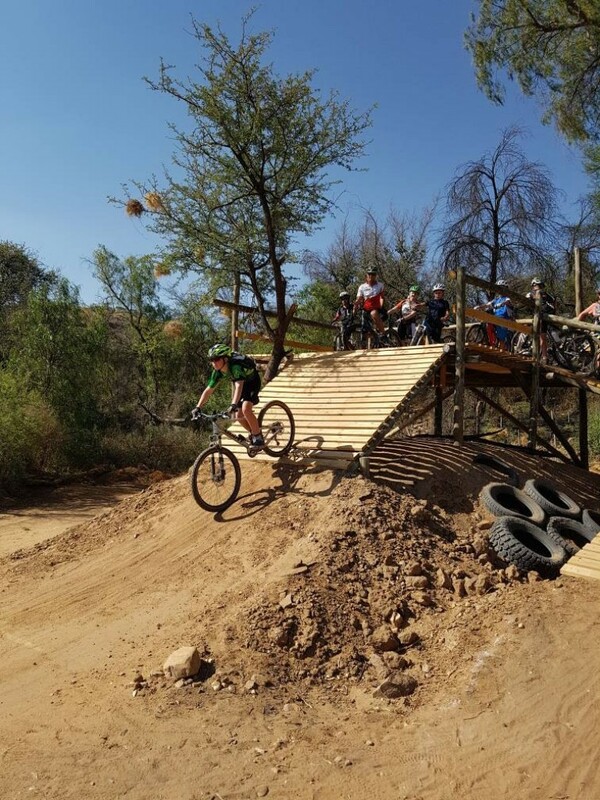 In addition to the training the learners also attend workshops on bicycle care, maintenance and repair. 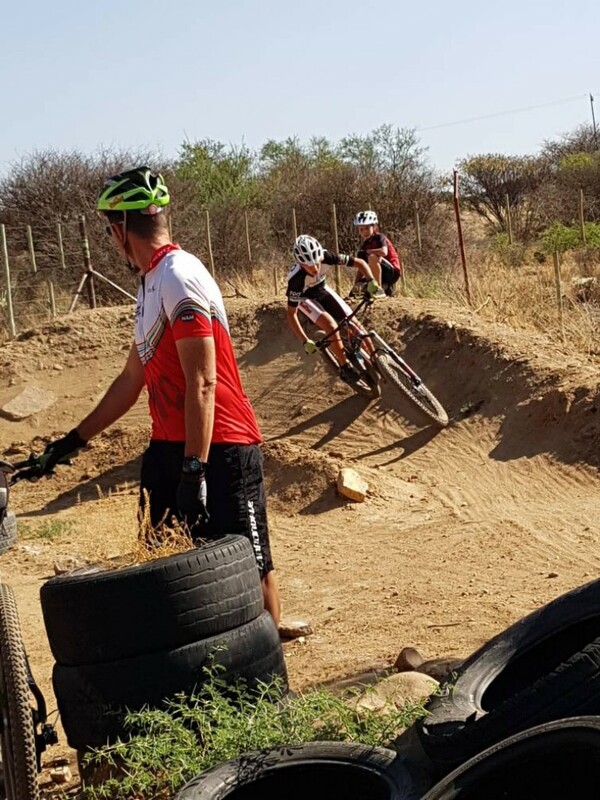 Besides having fun the overall aim of the project is to motivate extra-mural participants to compete in the Namibian School Cycling League 2018. 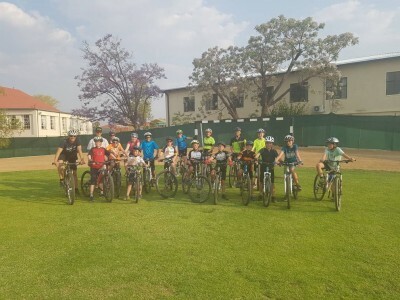 Here learners represent the DHPS and receive points for their school, while they show their cycling abilities and acquire competition experience. Currently about 20 learners from Grade 2 to Grade 11 are joining the fun. 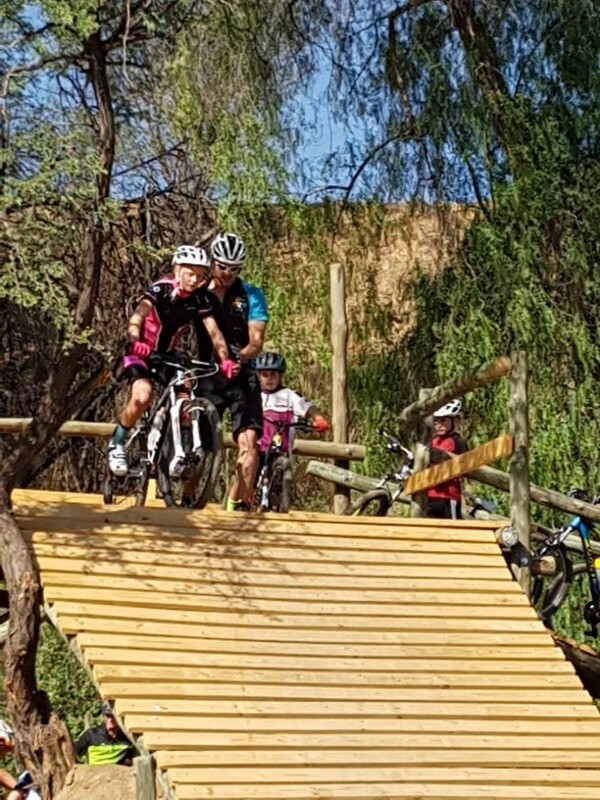 Our teachers Mr Thorsten Horenburg and Ms Nadia zu Bentheim are in charge of the extra-mural and also support the participants of the MTB schools league. This season the DHPS-team ranked second at the FNB Mountain bike Schools League but the expectations are high and the intensive training will hopefully pay off. 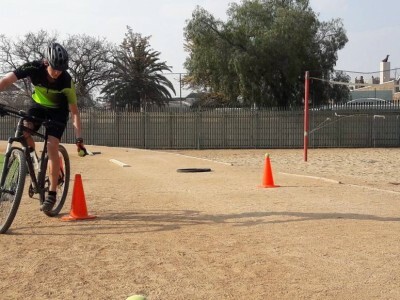 Naturally, the training location should be easily accessible for all the participants. 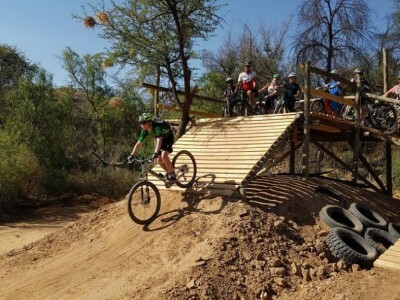 Together with workouts on our spacious campus, the “wild outdoors” will be experienced as well and most MTB training sessions take place at “Farm Windhoek”. 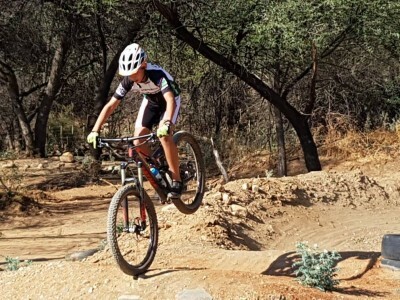 By extending our sports offer we follow the current trend of outdoor sports and charged an open door considering the keen interest in the MTB extra-mural. Acting in a theater play means to take a stand, to occupy a position. For a holistic educational approach, School Theater is an excellent opportunity to perceive young people from head to toe and to enable them to take a new look at themselves and the world and explore actively. It is a way to encourage learners to confidently find and fill their personal place in life in the world later. In addition, play-acting provides an opportunity for encounter: between different cultures and grades - all within a casual, free atmosphere, where language is “learned by doing”. High-quality events not only need to be well-planned on stage, but the lightning-, sound- and event-technology also plays a major role backstage. Our technics - team offers learners extensive training and is responsible for organizing everything which is required for a successful event, a concert, a theater play ore our regular assemblies. From choir, orchestra, big band or the only brass class in Southern Africa - the DHPS has much to offer not only in the academic, sporting or social field, but is also very active in music. Our DHPS brass class is certainly one of the best ways to teach and learn music. By the combination of orchestral and instrumental lessons, learners learn to play an orchestral wind instrument and also gain first impressions of being part of an orchestra. The groups present the results of their work during joint school concerts and they also participate in school, internal and external events, thereby representing the DHPS in public. Particular highlights are musical performances and participation in the orchestra workshop of the German schools in Southern Africa. The best part for all groups is the joy in playing together and in a successful concert. Social commitment is an important part of the DHPS and is actively promoted by numerous extra-mural activities. In concrete social projects and by active learner involvement, social behavior is strengthened and together we do good for those living on the margins of society. Especially in Namibia, a country with great social disparities and high poverty-, unemployment- and HIV/AIDS-rates, it is important to put one’s own needs aside. Therefore our social projects and task groups, like e.g. the DHPS Interact Club or the AIDS Awareness group, support soup kitchens, orphanages, kindergartens and community events like e.g. 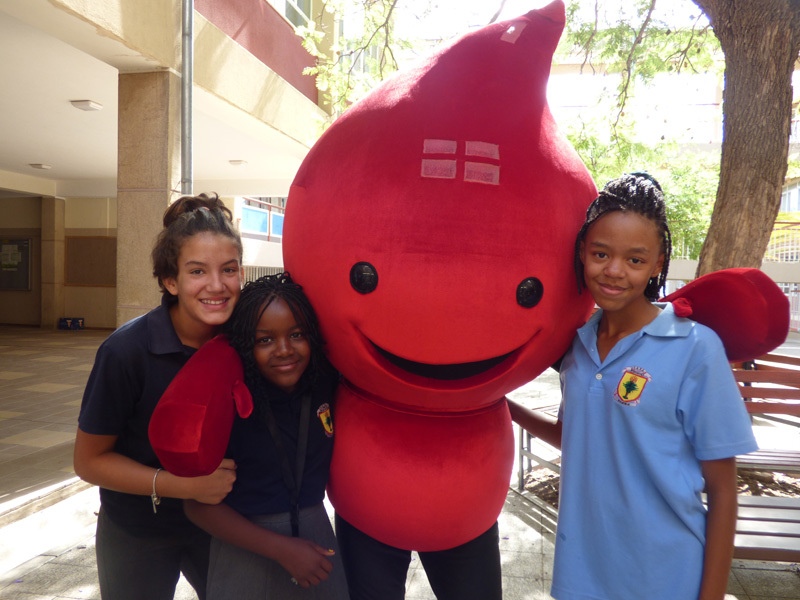 “Namibia runs for Charity”. Strengthen the personality, cope with difficult phases in life, and motivate a positive life conduct - these are the goals of our drug prevention. The DHPS consciously sees this as their longterm health promotion as from an early age: During events, campaign days and lessons, age-appropriate information on the topic of addiction prevention is mediated, jointly developed in a multidisciplinary way and presented. With the qualifications acquired at the DHPS, the world is literally open for our alumni. The study- and vocational guidance at the DHPS prepares you optimally for training, studies or a career in Namibia or abroad and provides advice and support for you and your parents. Whether life takes you to Germany, Europe, South Africa or Namibia or elsewhere with your DIA or NSSC - all important information, events and contact persons are provided here. Information on foreign certificates required for admission at a specific university. Overview of 2879 courses offered at German universities, colleges and art and music academies. Study and doctorate in Germany. Information about German universities, their study- and doctoral programs as well as international cooperations. Official studying guide in Germany. Step by step study application for international applicants for German universities. Applicants with a NSSC certificate, who are not entitled to direct studies at a German university, can obtain all information about a preparatory course at a Studienkolleg on this website. DAAD - parents brochure “Studying in Germany"
www.abi.de: Guidance and decision support for studies and career. Very recommendable study choice test (duration about 60-90 minutes). With the "Zeit" university ranking you can find the college or university that suits you best. Most extensive scholarship database. More than 3000 scholarships. This intelligent search algorithm helps to filter out the one best suitable for your curriculum. German Academic Exchange Service: database and links to many universities throughout Europe, USA, Canada, Australia, Japan and many other countries; information on scholarships. International Youth Exchange - and German visitors’ service, work camps, voluntary year in Europe. Information on German civil service. Student housing portals. Includes: flat sharing and numerous single- and multi-bedroom apartments. The library is available free of charge to all DHPS learners and employees. The library team, a qualified school librarian and an assistant, ensure professional advice to the visitors. In addition to usual librarian tasks, special focus lies on supporting learners with their Internet- or project-related researches. At the DHPS library, ample space is provided to read and learn and the computer-, group-, and quiet working zones are perfectly adapted to the needs of our younger and older learners. 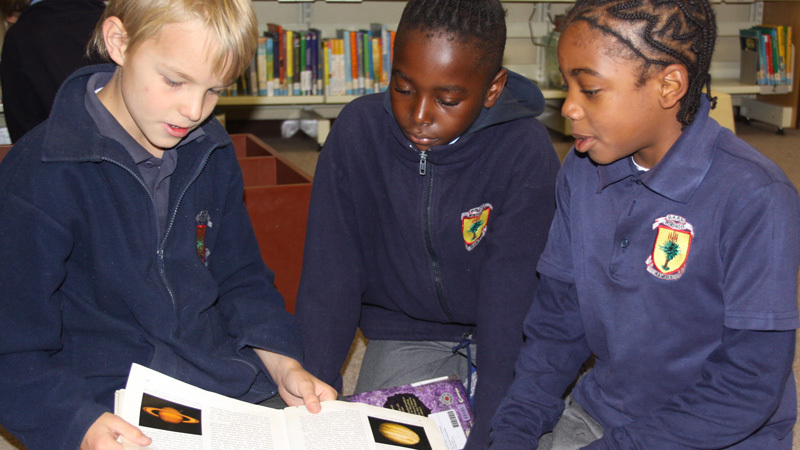 The school library offers an extensive range of reading- and learning-materials and is open during school-time and in the afternoons. The teacher library comprises 3000 media which are available to DHPS teachers. The third section, the so-called “free teaching aids” comprises text books for lessons and reading material for language lessons (in class sets).